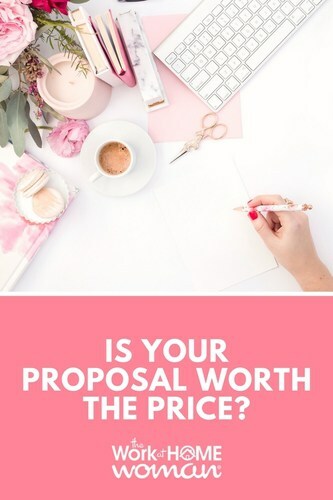 Is Your Proposal Worth the Price? You are here: Home / Freelance Tips / Is Your Proposal Worth the Price? When it comes to freelance writing, one of the most significant components of your business is in writing proposals. 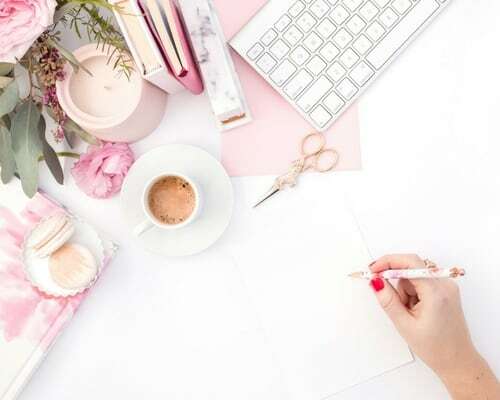 Doubtless, you spend a good portion of your time as a freelancer crafting proposals, be they responses to requests for proposals (RFPs), proposals for bidding sites, queries to magazines, or another form. Many times, it is easy to get complacent about proposals and maybe even a little lackadaisical about it. Proposals can become routine, and sometimes instead of putting together a specialized sample or bothering to get that quote ahead of time, writers stick with the bare minimum and focus on sending quantity over quality proposals. But think about something – what are you asking for in your proposal, and is your proposal worth the price? You might be the best writer on the planet. Maybe you've sold a ton of e-books. Perhaps you've written ten novels that sold off the shelves. But unless your name rhymes with Even Sing, you probably aren't going to register in the mind of whoever you're proposing without a killer proposal. Your proposal is the only thing that your prospect is going to read. Chances are, your prospect is reading hundreds of proposals, if not more, and they aren't going to take the time to go hunt down every piece of published material in your name to see how amazing you are. So when you go to write that proposal, you should write it as though whatever you're asking for the final product is what they're paying you for that proposal. One of the biggest mistakes that you can make is to submit a standard proposal with samples that aren't unique to the project at hand, thinking that this is only the proposal stage and your finished product will be amazing. The client doesn't know that. Perhaps you're submitting a proposal for the best set of articles your client will ever receive, but they don't know that. Don't make the prospect wonder if what you promise in your proposal is what you'll deliver. Deliver it in your proposal, and they won't have to question your quality and skill, and it makes their decision much easier. Many writers submit proposals that are standard or bare bones because they assume that the sheer number of proposals being submitted to their prospective client immediately puts them out of the game. This is not true. The vast majority of proposals that are submitted, even queries to large publications, are substandard and missing components. While your prospects might be receiving a high quantity of proposals, the quality is what matters. Make your proposal a well thought out and high-quality example of your work and ideas, and you could very well put yourself at the top of the list. Know that your proposal is just as important, if not more so than the actual work you submit once you've landed the job. Write every query letter as though it were the actual manuscript for which you are submitting your proposal. Treat every proposal as though you were being paid a million dollars for it. The quality will shine through and, more often than not, put you at the top of the list when your prospective client goes to make the final decision. Angie Nelson has been a virtual assistant and serial blogger since 2007 when she took her future into her own hands and found a way to escape the corporate cubicle farm. Stop by her blog to find out more about freelance writing jobs for beginners.